Born 17 Nov 1909; died 19 Jul 1988 at age 78. Born 17 Nov 1906; died 5 Aug 1991 at age 84. Hungarian-American physicist who shared the 1963 Nobel Prize for Physics (with Maria Goeppert Mayer and Johannes Hans Jensen) for his insight into quantum mechanics, for his contributions to the theory of the atomic nucleus and the elementary particles, particularly through the discovery and application of fundamental symmetry principles. He made many contributions to nuclear physics and played a prominent role in the development of the atomic bomb and nuclear energy. The Recollections of Eugene P. Wigner, by Eugene Paul Wigner, Andrew Szanton. - book suggestion. Rats, Lice, and History...of Typhus Fever, by Hans Zinsser. - book suggestion. Born 17 Nov 1865; died 17 Oct 1941 at age 75. Canadian astronomer known for his expert design of instruments and his extensive spectroscopic observations. He designed an exceptionally efficient spectrograph for the 15-inch refractor and measured radial velocities and found orbits of spectroscopic binary stars. He designed and supervised construction of the 72-inch reflector built for the new Dominion Astrophysical Observatory in Victoria and was appointed its first director in 1917. There he extended the work on radial velocities and spectroscopic binaries and studied spectra of O and B-type stars. In the 1930s he published the first detailed analysis of the rotation of the Milky Way, demonstrating that the sun is two-thirds out from the centre of our galaxy about which it revolves once in 220 million years. Born 17 Nov 1865; died 29 Dec 1954 at age 89. Born 17 Nov 1855; died 31 Jan 1942 at age 86. The Battery: How Portable Power Sparked a Technological Revolution, by Henry Schlesinger. - book suggestion. Born 17 Nov 1850; died 1 Aug 1924 at age 73. Scottish industrial chemist who developed (1890) the process of manufacturing potassium cyanide (widely used to extract gold from low-grade ore) by passing ammonia over a heated mixture of charcoal and potassium carbonate. Beilby entered the oil-shale industry in 1869 and greatly increased the yield of paraffin and ammonia by introducing the continuous retort. Noting the destruction of metals by ammonia at high temperatures, Beilby researched the flow of solids. He inferred that when a solid is caused to flow, as in polishing, the crystalline surface is broken down to a harder and denser layer. Although much criticized, this theory explained the hardening of metals under cold working and gave valuable stimulus to further research. Born 17 Nov 1835; died 29 May 1908 at age 72. Born 17 Nov 1823; died 31 May 1908 at age 84. British antiquarian, numismatist, and a founder of prehistoric archaeology. In about 1860, he began his searches for relics of early man in Britain. He garnered a notable collection of prehistoric stone and bronze implements. Evans found humanly made stone axes in the same layers as the bones of extinct European animals like hippopotamus, elephant, and saber-toothed tiger. In 1859, from such evidence, he announced that humans had lived much earlier than 6,000 years ago. This was much older than the long accepted Biblical chronology implied. Evans also collected coins of the ancient Britons, Romans and Anglo-Saxons. His son Sir Arthur (John) Evans followed his interests as an archaeologist. August Ferdinand Möbius was a German astronomer, mathematician and author, died in Leipzig. He is best known for his work in analytic geometry and in topology, especially remembered as one of the discoverers of the Möbius strip, which he had discovered in 1858. A Möbius strip is a two-dimensional surface with only one side. It can be constructed in three dimensions as follows. Take a rectangular strip of paper and join the two ends of the strip together so that it has a 180 degree twist. It is now possible to start at a point A on the surface and trace out a path that passes through the point which is apparently on the other side of the surface from A. Although his most famous work is in mathematics, Möbius did publish important work on astronomy. Born 17 Nov 1597; died 16 Feb 1636 at age 38. Died 17 Nov 2000 at age 95 (born 22 Nov 1904). Louis-Eugène-Félix Néel was a French physicist who shared, (with the Swedish astrophysicist Hannes Alfvén) the Nobel Prize for Physics in 1970 for his pioneering studies of the magnetic properties of solids. His contributions to solid-state physics have found numerous useful applications, particularly in the development of improved computer memory units. About 1930 he suggested that a new form of magnetic behavior might exist - called antiferromagnetism. Above a certain temperature (the Néel temperature) this behaviour stops. Néel pointed out (1947) that materials could also exist showing ferrimagnetism. Néel has also given an explanation of the weak magnetism of certain rocks, making possible the study of the past history of the Earth's magnetic field. Died 17 Nov 1990 at age 75 (born 5 Feb 1915). Died 17 Nov 1975 at age 78 (born 13 Aug 1897). English astronomer who discovered (1909) the Evershed effect - the horizontal motion of gases outward from the centres of sunspots. While photographing solar prominences and sunspot spectra, he noticed that many of the Fraunhofer lines in the sunspot spectra were shifted to the red. By showing that these were Doppler shifts, he proved the motion of the source gases. This discovery came to be known as the Evershed effect. He also gave his name to a spectroheliograph, the Evershed spectroscope. He had been introduced to workshop skills in his youth by his elder brother, Sydney Evershed. John made optical instruments reflecting his budding interest in astronomy. Sydney went on to a career with electrical devices. Died 17 Nov 1940 at age 61 (born 3 Jun 1879). American zoologist, one of the founders of biometry, the application of statistics to biology and medicine. Pearl was chief statistician at the Johns Hopkins Hospital (1919-35). He pioneered studies in longevity, changes in world population, and genetics. He reported in the May 1938 Scientific American that "the smoking of tobacco was associated definitely with an impairment of life duration and the amount or degree of this impairment increased as the habitual amount of smoking increased." In 1926, he first reported health benefits of moderate alcohol consumption (as opposed to both abstinence and heavy drinking) in a modern medical light. Died 17 Nov 1929 at age 69 (born 29 Feb 1860). American inventor of a tabulating machine that was an important precursor of the electronic computer. For the 1890 U.S. census, he invented several punched-card machines to automate the sorting of data. The machine which read the cards used a pin going through a hole in the card to make an electrical connection with mercury placed beneath. The resulting electrical current activated a mechanical counter. It saved the U.S. 5 million dollars for the 1890 census by completing the analysis of the data in a fraction of the time it would have taken without it and with a smaller amount of manpower than would have been necessary otherwise. In 1896, he formed the Tabulating Machine Company, a precursor of IBM. 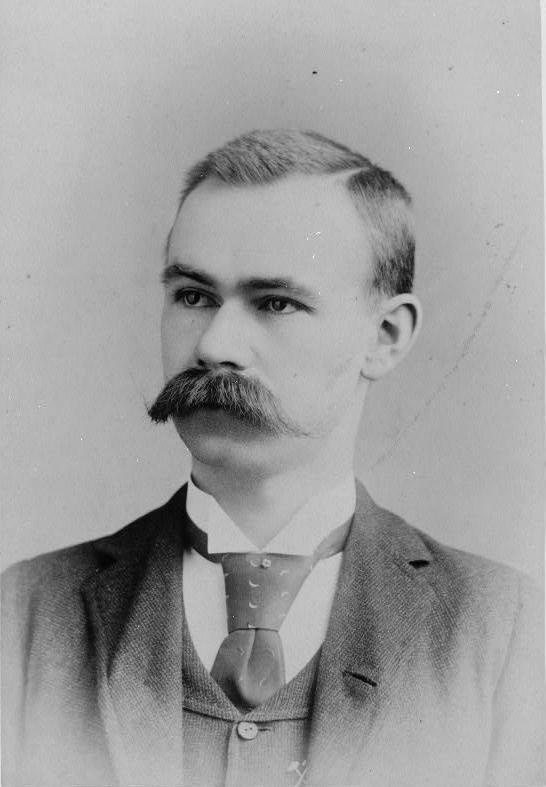 Herman Hollerith: Forgotten Giant of Information Processing, by Geoffrey Austrian. - book suggestion. Died 17 Nov 1926 at age 62 (born 19 May 1864). Died 17 Nov 1925 at age 75 (born 21 Nov 1849). Swedish metallurgist who devised the Brinell hardness test, a rapid, nondestructive means of determining the hardness of metals. Brinell studied many aspects of iron and its production. Brinell´s important work on transformations in steel during heating and cooling. His discoveries about the control of the carbon containing phases is the present basis for the knowledge about properties of steel. The Brinell Hardness Test measures the relative hardness of metals and alloys, by forcing a 10mm hard steel ball into a test piece with a 3000kg load for 30 seconds and measuring the surface area of the resulting indentation. The load is reduced to 500kg for very soft materials and the steel ball is replaced with tungsten carbide for very hard materials. Died 17 Nov 1838 at age 65 (born 17 Dec 1772). French physician whose advocacy of leech treatments dominated Parisian medical practice early in the19th century. Early physicians felt that the depleting effect of bloodletting was "cooling," relieving the congestion of inflamed capillaries, and saw leeches as a panacea. From his findings of blood in the mucous membranes of the gastrointestinal tract during postmortem examinations, Broussais believed all disease results from inflammation due to excessive build-up of blood. Thus, he thought that all diseases could be treated through diet and bleeding, and was said to have routinely applied 30 leeches to each of his patients. But by 1850 new techniques and drugs replaced leeches. In 1836, François Broussais presented 20 lectures on phrenology. In 1970, a U.S. patent was issued for the computer mouse - an “X-Y Position Indicator for a Display System” (No. 3541541). The inventor was Doug Engelbart. In the lab, he and his colleagues had called it a “mouse,” after its tail-like cable. The first mouse was a simple hollowed-out wooden block, with a single push button on top. Engelbart had designed this as a tool to select text, move it around, and otherwise manipulate it. It was a key element of his larger project - the NLS (oN Line System), a computer he and some colleagues at the Stanford Research Institute had built. The NLS also allowed two or more users to work on the same document from different workstations. It had been given a public demonstration at a computer conference on 9 Dec 1968. Parting the Desert: The Creation of the Suez Canal, by Zachary Karabell. - book suggestion. In 1797, the first patent in the U.S. for a clock was issued to Eli Terry of East Windsor, Conn. for an equation clock. The clock had two minute hands, one of which showed the mean or true time, while the other "together with the striking part and hour hand showed the apparent time, as divided by the sun according to the table of variation of the sun and clock for each day of the year." He began making clocks in 1793, in Plymouth, Conn. Terry introduced wooden geared clocks using the ideas of Eli Whitney's new armory practice to produce interchangeable gears (1802) and mass production of very inexpensive household clocks. Terry developed ways to produce wooden clock works by machine. Eli Terry: Clockmaker of Connecticut, by Leslie Allen Jones. - book suggestion.